Tattooed bad boy and bear shifter Remy Hayes never felt like he fit in at his bear clan's rural Montana ranch. Now, after a fight with his alpha, he's taking his Harley and hitting the road. But it's more than just wanting to see what's over the next hill. Remy and his bear feel like there's someone out there, calling to him—the gorgeous blue-eyed girl who's been haunting his dreams. Curvy fox shifter Saffron Blake grew up in a town run by a gang of motorcycle-riding shifters called the Black Wings. On Saffron's twenty-fifth birthday, the Black Wings' alpha demanded her as his own, but she fled... out to the highway, where she thumbed down a ride. Remy pulled off on the shoulder, and his bear recognized his mate. Now the hunted lovers are running from motel to wilderness to wide-open highway, with the Black Wings right behind them. Remy won't let anyone touch his mate, and Saffron begins to discover that finding her true mate means a whole lot more than the Black Wings ever taught her. And both of them have a lot to learn about love. But when the chips are really down, Remy realizes that his clan brothers will stand with him, and Saffron must make the ultimate choice. 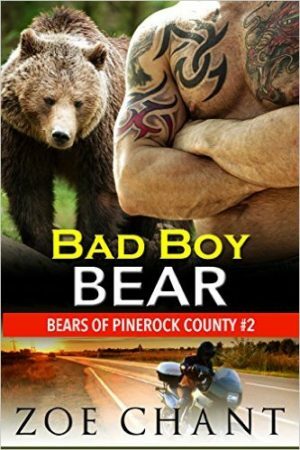 This is a smoking-hot standalone bear shifter romance, #2 in the Bears of Pinerock County series.